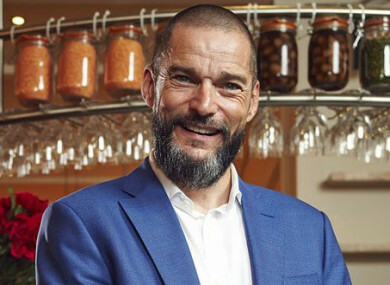 First Dates UK is back for a brand new series, after their celebrity special for Stand Up 2 Cancer, where they set celebs up with unsuspecting members of the public. Series eleven of the show kicks off with a recruitment consultant called Lee sitting down for a meal with Abbi, who prides herself on her very civilised lifestyle. Deanna, who hasn’t been on a date in 20 years, meets an ex-car mechanic called Alex and he ends up more interested in the waiter than in her. The usual carry-on. As more children in Northern Ireland are diagnosed with mental health issues than ever before, Tara Mills meets young people and their families and looks at the stories behind how they’re fighting for help and support. Brendan O’Carroll returns with his quiz about ordinary people and their extraordinary facts. Audience members join celebrity experts and the Mrs Brown’s Boys cast to play the game. Tonight, Wildlife presenter Chris Packham serves as the guest expert and the two teams are captained by Mrs Brown’s Boys stars Fiona O’Carroll and Paddy Houlihan. Everybody’s talking about… Irish Eurovision contestant Brendan Murray’s most recent X Factor performance. The Young Offenders (RTÉ One, 9.30pm) If you haven’t got Netflix but you’re a fan of the Cork duo’s antics, tonight RTÉ premiere the film which inspired the brilliant comedy series. Criminal Minds (Sky Living, 9pm) A brand new series of the crime drama, which kicks off with its 300th episode. Family Cooking Showdown (BBC Two, 7pm) Competitive food show celebrating the families who make ordinary food extraordinary. Reeling in the Years (RTÉ One, 6.30pm) The stories and soundtrack of 1988. Soccer Republic (RTÉ 2, 7pm) Peter Collins is joined by Alan Cawley and Declan Devine to look back at the final week of the 2018 SSE Airtricity League Premier Division. The Big Lebowski (TG4, 9.30pm) Comedy drama about an LA hippy who is mistaken for a wealthy industrialist and becomes involved in an outlandish extortion scheme. Email “What to watch on TV tonight: Bank Holiday Monday”. Feedback on “What to watch on TV tonight: Bank Holiday Monday”.